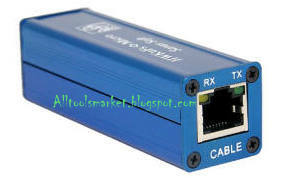 Free download and install the latest version of UFS (HWK) Box software panel setup and its connectivity USB driver from here. This [v2.3.0.7] version of UFS Box setup and USB driver is recently updated for windows operating system OS 7, 8 and XP. UFS (HWK) Box is one of the best and perfect flashing box to flash, unlock and service all different kinds of mobile (models) like Samsung, Nokia, Sony, China and much more cell phones easily. It is 100 percent free and trusted flashing software to flash all kind of mobile phones with mobile flash files. This box is very simple and used by many people around the globe for flashing, unlocking and servicing. Just get the full setup of UFS (HWK) Box and you can simply flash your phone via USB data cable. In the post I have give the latest and up to date version of UFS Box panel for the box users. Simply, follow the provided download links and download and install this box on your windows for free. So download and install UFS (HWK) Box panel latest version (Update) setup + USB driver for windows 7, 8 and XP from our site for free. And enjoy with recent added features. Note: before flashing with UFS (HWK) Box please backup your personal data from your mobile phone like text messages, contact numbers, photos and those data which is available in your mobile device. Because after flashing your all of personal data will be deleted and you cannot backup it again.